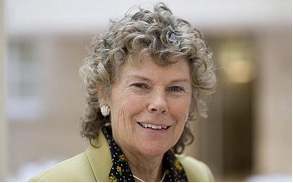 Kate Hoey has been the Labour Member of Parliament for Vauxhall, South London since a by-election in 1989. Kate was born in County Antrim, Northern Ireland, where her parents were farmers. She attended the Belfast Royal Academy and the Ulster College of Physical Education before going on to take an economics degree in London. During her student days she was elected a sabbatical Vice-President of the National Union of Students. Kate has always been very interested in sport and was once the Northern Ireland High Jump Champion. She has worked as Educational Advisor for a number of football clubs including Arsenal, Tottenham Hotspur, Queens Park Rangers, Chelsea, and Brentford. This involvement in sport – particularly football and cricket – has continued into her political career. Kate is now an honorary Vice-President of Surrey County Cricket Club in her constituency. She was appointed Parliamentary Private Secretary to Frank Field, the Minister for Welfare Reform, after the election of the Labour Government in 1997. Before then, she was a member of the Social Security Select Committee and the Broadcasting Select Committee. In July 1998 Kate was appointed as a Minister in the Home Office before becoming the UK’s first female Sports Minister in 1999 – a position held until the 2001 General Election. Since then, Kate has been an active backbencher promoting the views and interests of her constituents in Parliament. She is very interested in foreign affairs – visiting Sarajevo at the height of the siege, monitoring the first democratic elections in Angola, and visiting Zimbabwe undercover in 2003 and 2005 to investigate the deteriorating political and humanitarian crisis. Kate is proudly independent minded and is one of the small number of Labour MPs who voted against a ban on hunting, opposed the war in Iraq, renewal of Trident, foundation hospitals, university tuition and top-up fees, ID cards, and extended detention without trial. Kate is also the co-leader in the Labour Party for the ‘Leave Europe’ campaign.